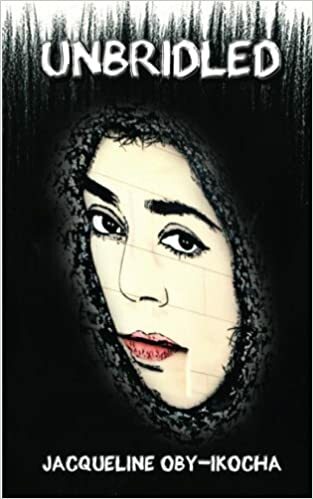 It’s available on Amazon-Kindle and Smashwords and it will be an utmost delight if even only one person buys it. I have also set it up at both ends of my sidebar as a source of motivation. Now let me go and finish working on a compilation of the short stories that I hope to publish in June. My thanks and utmost regards. When you feel ready to talk about the journey I’ll pour us out a nice fresh cup of tea and we’re all ready to listen. Thank you, my sister. I really appreciate your beautiful words and thoughts. My regards. 1001 CONGRATULATIONS, Jacqueline!!! I know you’ve worked terrifically hard on this and you deserve MUCH SUCCESS!! I hope its ok if I reblog this, I would love to spread the word and info on your new book 🙂 Big Hugs and Cheers for you! Many heartfelt congratulations to Jacqueline Obyikocha who has just had her first book published! 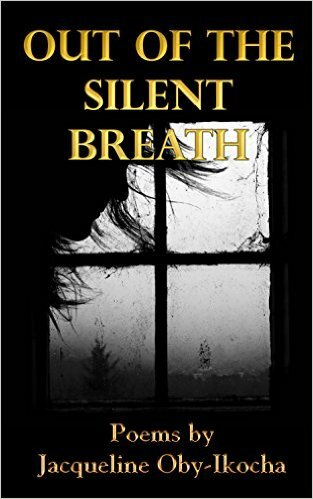 If you love poetry as most of us do, please keep an eye out for ‘Out of the Silent Breath’. Jacqueline is an extremely talented writer and such a sweet person too! CONGRATULATIONS, LADY!! -> Sorry, felt like I should remove the reblog because it kind of looked like it was my post to people that weren’t actually reading. Please let me know if you’d like it reposted it. I’m just so happy for you! You’re just too great, Jackie 😀 Keep up the awesomeness! Thank you my dear Drew. I appreciate your words. congs my dear. I am smiling with you. I can’t wait to get done with mine as well. Congratulations Jacquie for this great work. Wishing my best for your future work. great party…LOVE those fancy compotes with the fruit and little umbrella! you sure know how to throw a party! Congratulations Jackie!! I’ll have to check out your book on Kindle. Many thanks Sofia. I appreciate your words. If you’ve got anytime, you could step in for a little while for my blog party that’s going on right now. Congratulations to you. What a wonderful accomplishment. I can’t wait to get my copy. Wishing you many blessing and more future success. And here’s a big, fat hug to you to shower you with all that wonderful feelings. xoxo. Congratulations, Jacqueline, on your first book! And all good wishes on the next one. Congrats! So proud of you. Way to go woman! Jacqueline wrote a poetry book, From A Cooking Pot and Twisted Tales. Check out her new book on Amazon! Jacqueline, This was posted to my reblog on your new book, I wanted to send it over to you! Congratulations! I know how you feel, now celebrate! Congratulations, Jacqueline! I think it is just wonderful that your book is published!! Happiness to you for such an accomplishment. Joy–and meaning–for everyone! Congrats Lady! Now I remember there was a post about picking a cover page, sincerely sorry I lost track of that. Congratulations Jackie! That is fantastic!! It’s okay. We all do it. Yeah the party is going well. Please do step in and leave your link because I’ll be sharing those links later in the week to others. Thank you so much Susan. I appreciate your kind thoughts. You’re welcome! 😀 I am happy for you! Congrats!! I hope it’s a best seller! You deserve it after all the time and hard work! Thank you very much dear Prab. Dear Nena thank you very much. This is telepathic. I was just opening your post of pet tag and bookmarking it, ‘cos I want to send you an email to invite you for a guest post or an interview and your message pops in 🙂 Please let me have your email address. Thank you so much and my regards. Brilliant! I’ll dash off an email to you asap. Congratulations, Dear Jacqueline! If I were a goose (aside from being naturally silly 😉 ) I’d be flying in formation with you at point, honking joyfully with the flock! Keep up the great work. Honk!! Bravo Jacqueline !! I have pinned it to my Poetry Pinterest board and wish you HUGE success ! Next time I’m shopping on Amazon I’m getting one. Here’s to you !